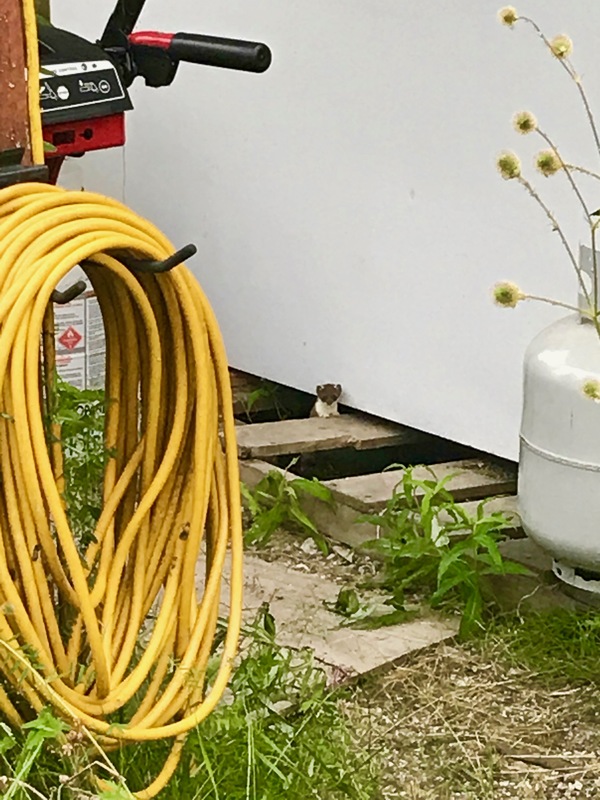 When I returned home from the fishing trip to Seward, I was putting the fish in the freezer, when I heard a rapid, chirp-like bark coming from where my feet were. I looked around, and finally spotted the blur of my neighbor, Mustela Nivalis. The least weasel seemed to miss me, or else it was disappointed that it had to share the cabin again. Up until that point, even the trail camera was too slow to get a decent picture of the little carnivore, but now it was putting on a show. It followed me all over the place. From one side of the cabin to the other, the little weasel didn’t let me get out of it’s sight. A dozen pictures of the weasel, and three videos later, I called it a night, and left the weasel still barking at me from under my freezer. This entry was posted on Saturday, August 25th, 2018 at 5:12 AM	and tagged with Alaska, Fairbanks, photo, travel, weasel and posted in wildlife. You can follow any responses to this entry through the RSS 2.0 feed.